Your goal is to not to spend time with leads, but to spend time with great prospects. To do this, you have to qualify your leads faster to give you the time you need to spend with the high-value prospects. Too many salespeople take a “go slow” approach when it comes to leads. The feeling is they don’t want to do anything to disrupt the lead, but in going so slow, they wind up losing the lead. I’m frequently asked when speaking on sales prospecting about what is a good approach to use. The approach I’ve been using for years and have shared with many others is what I refer to as the “industry problem” technique. I like it because it’s comprised of 3 questions that can be asked during the first conversation with the lead. It’s a direct approach, yet not threatening. Both the salesperson and the customer will feel comfortable. The answer to this question is really the one you are looking for, because if you provide labor, you want to know if this is an issue and, in particular, how big of an issue it is. By asking the questions in this order, you’re able to get information you need faster. Some might be saying why not ask the 3rd question first, and my response is you need the first two questions to understand the context of the 3rd. Even more significant than that is by asking the questions in the above order allows the lead to see you as a bigger thinker than merely a salesperson looking for a quick sale. The challenge of making sure you’re not wasting your time on leads that are not going anywhere is what I’m discussing in the on-line Sales Acceleration Summit. 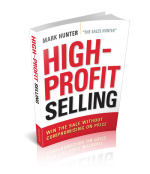 I’m sharing critical ideas along with 50 other sales experts. Good aproach to leads. It’s so useful ask questions to know the issues that organizations are dealing with. Buyers always feel comfortable talking about their business. Your approach to the client in this manner sounds very good for the example given. Do you have a suggested 3 pack of questions that is proven successful for my work which is representing companies for their commercial real estate lease negotiation? i am trying to establish how many prospects I need to have on my pipeline. I feel a bit overwhelmed and when I work through my pipeline it feels like my deals are taking forever to close.